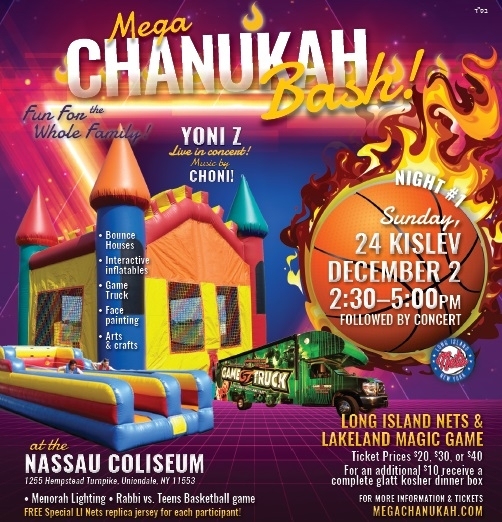 Chabad of Roslyn, together with Chabad of Long Island are hosting an awesome Chanukah Bash - Carnival & Basketball Game @ Nassau Coliseum! On Sunday, December 2nd, First Eve of Chanukah, the LI Nets will offer Kosher food, a fun carnival with inflatables and the GameTruck, exclusive concert - fun for all ages! Buy tickets here and begin your Chanukah 2018 with a slam dunk!